Lawsuit damages that compensate you for physical injury or sickness are generally not taxable. These funds are designed to compensate you for physical loss and associated expenses and are not considered income. However, if you have taken an itemized deduction for medical expenses associated with your illness or injury, then you may have to claim part of the award as income. If you have received a tax benefit by deducting medical expenses compensated by the award or settlement, then you must claim as income your compensation for the medical expenses that you have deducted. Since your accident in 2014, you have incurred $100,000 in medical expenses. You paid $10,000 of those medical bills during tax year 2014 and deducted that amount as medical expenses on your 2014 tax return. Because your award compensates you for the costs that you had claimed as a deduction in 2014, you must now report that $10,000 as income. The remaining $90,000 is not taxable. Damages awarded for emotional distress stemming from physical injury or sickness are treated the same as damages to compensate for the injury or sickness itself, as discussed above. 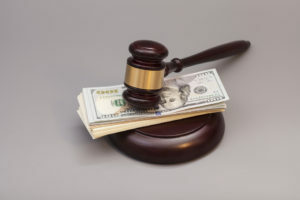 Punitive damages are taxable regardless of whether they are associated with the infliction of physical injury. If money awarded for emotional distress does not stem from physical injury, then it is typically considered income and must be reported. However, if you incurred medical expenses attributable to that emotional distress, then you may reduce the amount of income you report by the amount of those expenses. Your award includes $20,000 in damages for emotional distress inflicted by harassment that did not result in physical injury. You have incurred $5,000 in medical expenses in order to recover from this distress and its consequences. You can reduce the income you claim by $5,000, leaving only $15,000 of your emotional distress award as taxable. When you’re compensated for lost wages, then that portion of your award or settlement will be taxed as wages. Awards received for lost profits on your business are taxable as self-employment income. Compensation for loss of property value is not taxable, as long as it does not exceed the adjusted basis of the property. In the event the property award or settlement exceeds the adjusted basis, then the excess amount is reportable as income. Any interest provided by your settlement or award is reportable as interest income. Boelman Shaw provides tax and financial planning services in Des Moines. We can help you figure out the intricacies of the taxability of your lawsuit award as well as advise you on tax-advantageous ways to manage your money. Click below to schedule your 2015 tax appointment! Source: "Settlements – Taxability". IRS.gov. Internal Revenue Service, n.d. Web. 16 Oct 2015.